Riverbrook â New England charm at its best in this lakeside Nantucket style home designed by Pinnacle Peakâs Tom Nettleton. 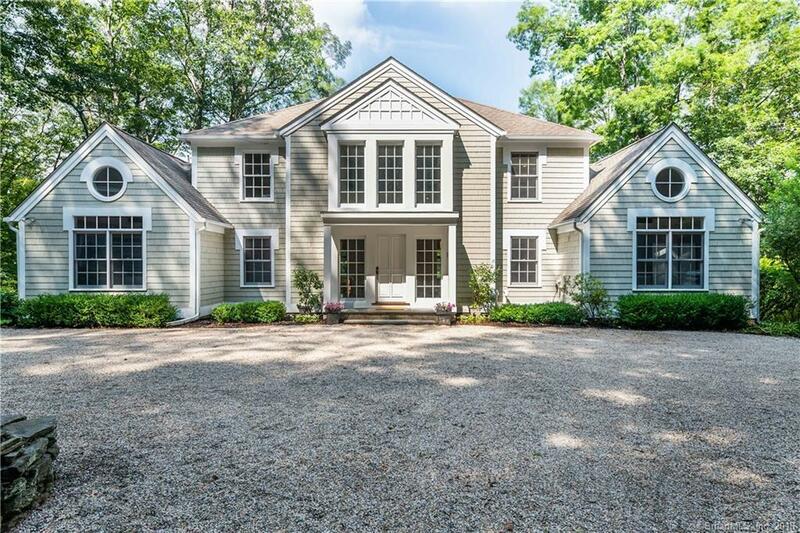 Surrounded by 2.45 wooded acres, this cedar shingle home sits quietly on Lake Lillinonah. The property has been thoughtfully landscaped with low maintenance shrubbery and stonewalls, all contributing to the sense of ease lake living provides. Entertainers dream of the outdoor space this property offers with its wrap around deck and screened in gazebo. The serene affect of the water is carried indoors with cool, calming wall colors and wide plank knotty pine floors. The tall height of the ceilings creates a breathable, bright space, accented only by weathered wood beams. The interior mimics the outdoors once again in the privately situated boudoirs. The second level is dedicated entirely to the master suite, which boasts itâs own balcony with lake views. The two additional bedrooms have their own private halls and en suites, ensuring everyone has their own space to escape. Above the detached garage is a 672 sf office/studio â a place to think, invent, and create. Find yourself relieved of lifeâs pressures here at Riverbrook. Directions: West Purchase Road To West Gilbert. House Is On The Left Hand Side.